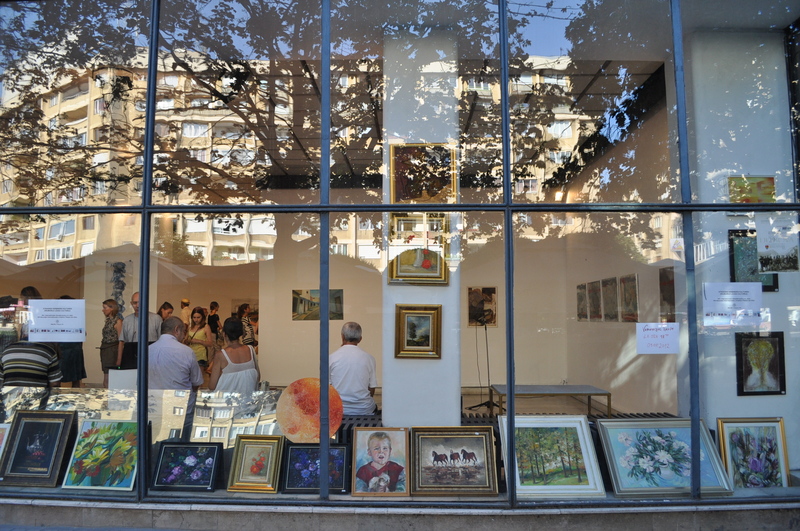 Organized by International Association of Artists, this exhibition of pictures, graphic works and sculptures under the motto “Roads Connecting Cultures” is presented at the HELIOS Art Gallery. The art works of 26 artists from Germany, Luxembourg, Romania, Sudan and South Korea are exhibited to demonstrate the cultural diversity and integrity of today’s world. “Inspired by either their own experiences or general awareness of the topic, the artists from three continents are presenting their works in Timisoara, one of the cultural capitals of Europe. As Margareta Schulz, the President of the international Association of Artists puts it: ‘’For some artists the “Roads” are the goal, for others – fascination about their own or other cultures”. The exhibition will be in Timisoara until the 21st of August. So we still have time to explore and experience the cultural diversity and integrity of the world we live in, through the modern art at the Helios Gallery!